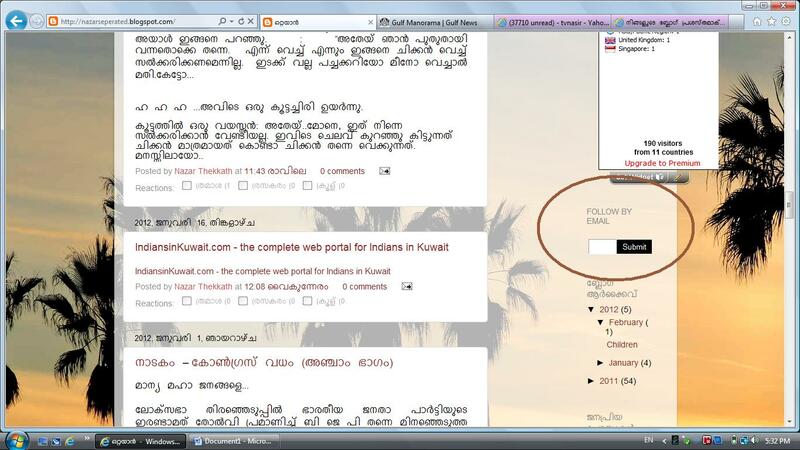 ഒറ്റയാന്‍: How to design your blog.. 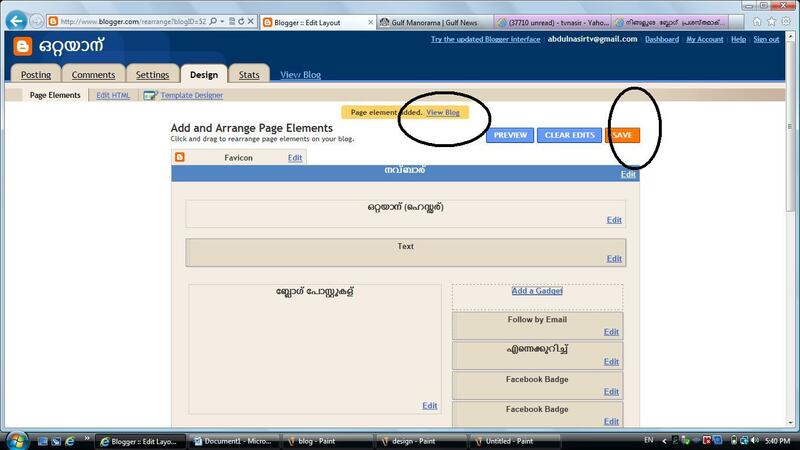 Designing a blog is very important in attracting more readers to it. 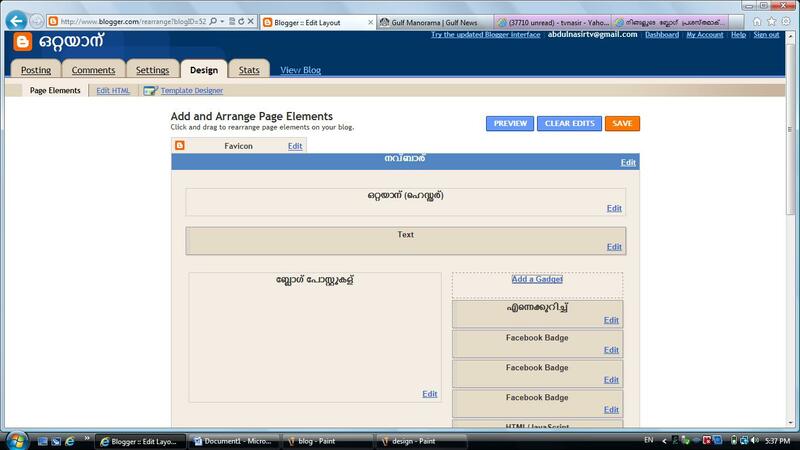 How to design a blog is illustrated as follows. 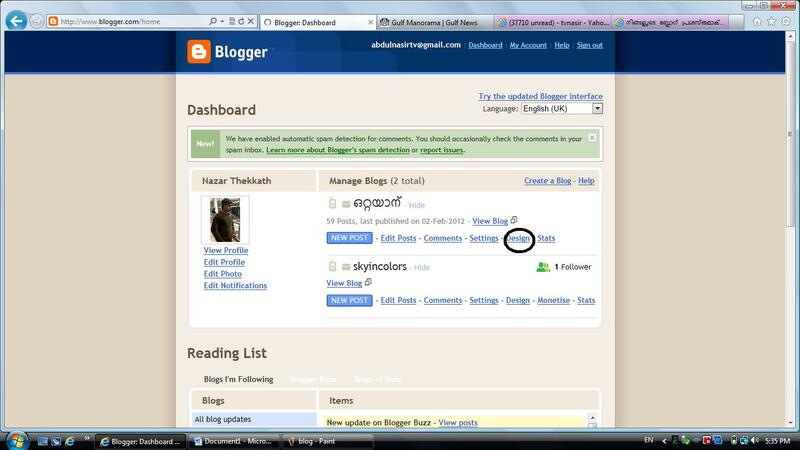 Here, we take only one example of adding 'follow by email' option to our blog. 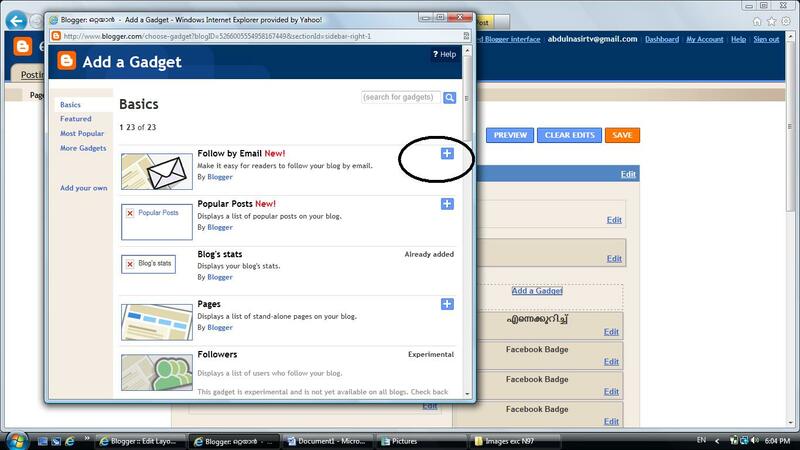 2) This is the area where we can design..Clicking on the 'Add a Gadget' will take to another pop up window. 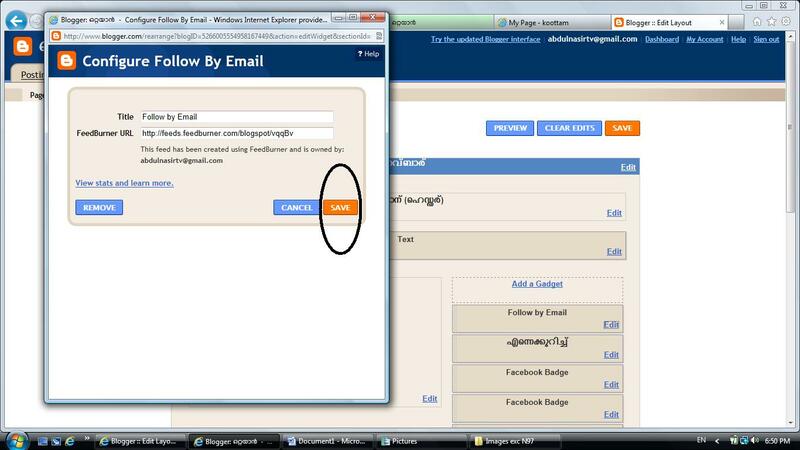 Click on + button to add 'follow by email'..
3) The following will be the next pop up window.. Clicking save will close the window automatically..
To add many other options like face book badge, visitors track feed, etc; just visit any page having all these settings and find the option below these elements..